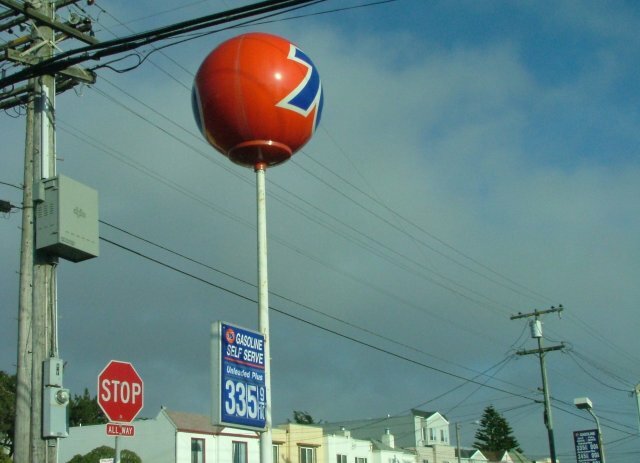 This set of photos taken by John Cirillo during our West Coast vacation in 2006. There are eighteen photos, each around 60 kbytes in size. 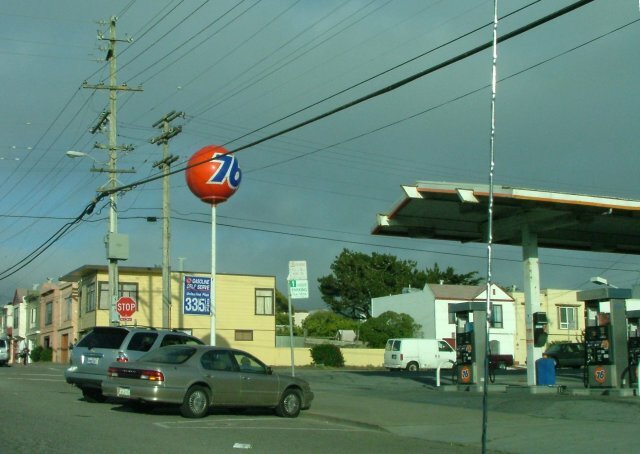 76 station located at Noriega and 44th in San Francisco, CA. 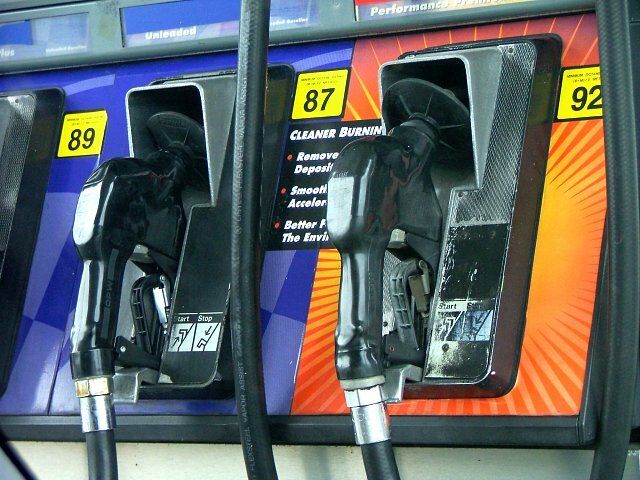 Photos taken June 6, 2006 by John Cirillo. Lincoln and LaPlaya. 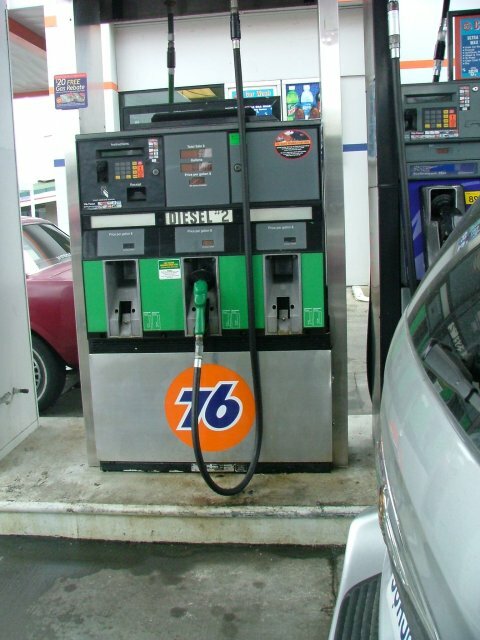 Taken June 7, 2006 by John Cirillo. 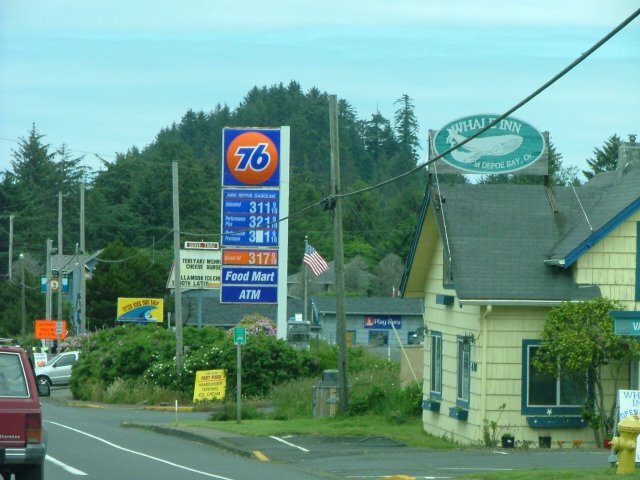 The best of three shots of the 76 station on US 101 in Fort Bragg, California. 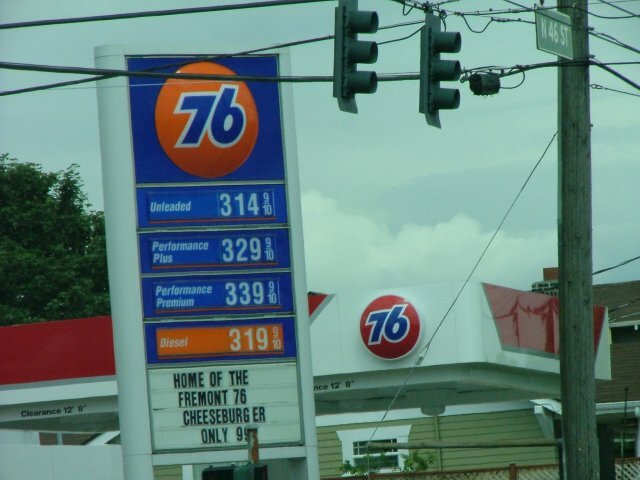 Taken June 8, 2006 by John Cirillo. 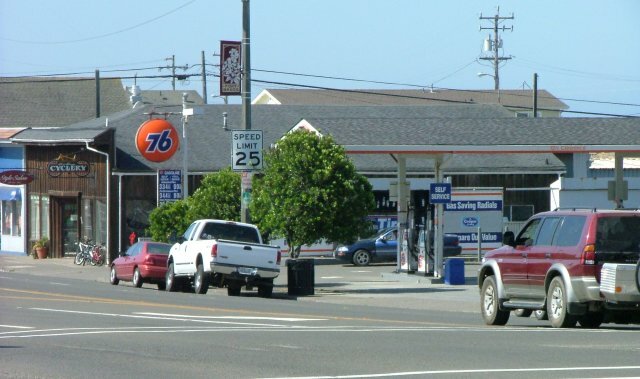 A 76 station at Winchester Ave. and US 101 in Reedsport, Oregon. Lions Park is in the background. 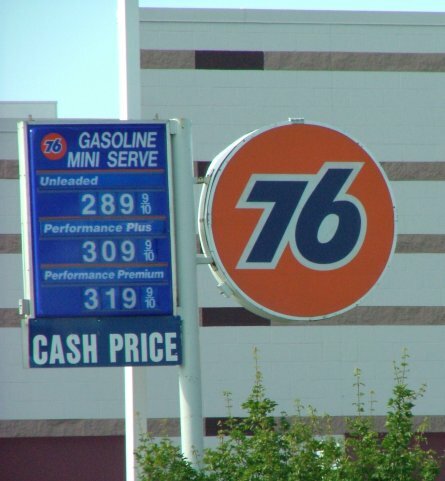 Taken June 9, 2006 by John Cirillo. 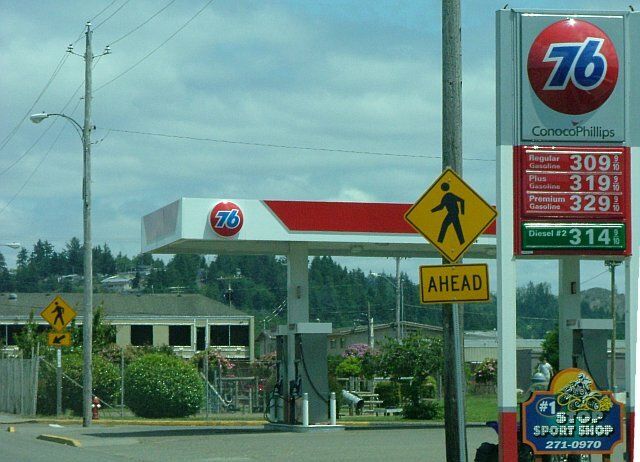 76 station in Depoe Bay, Oregon along US 101. 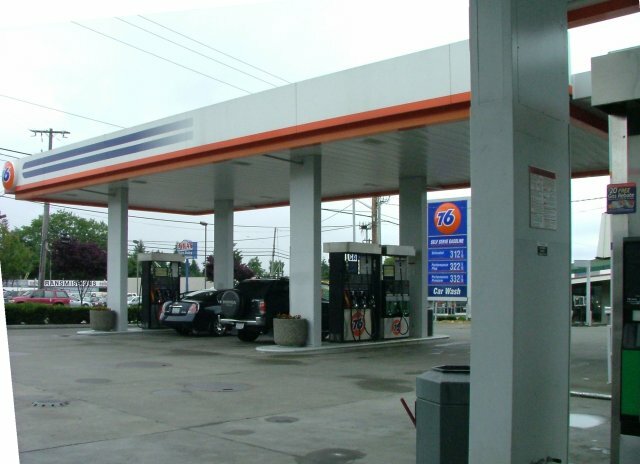 Taken June 10, 2006 by John Cirillo. 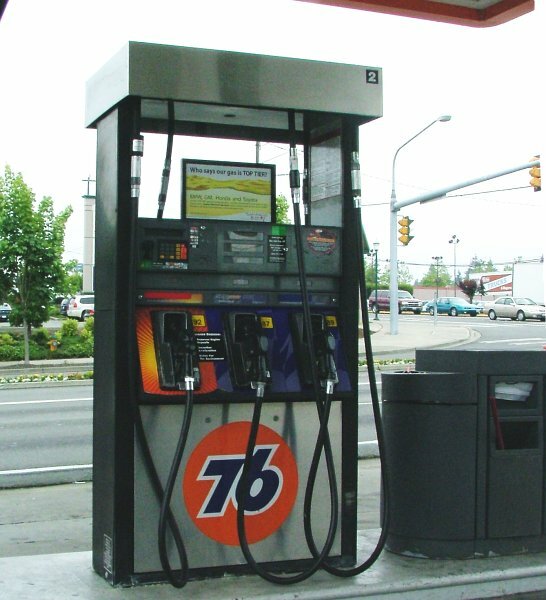 A 76 station at 46th Street N. and Fremont in Seattle, WA. Taken June 13, 2006 by John Cirillo. 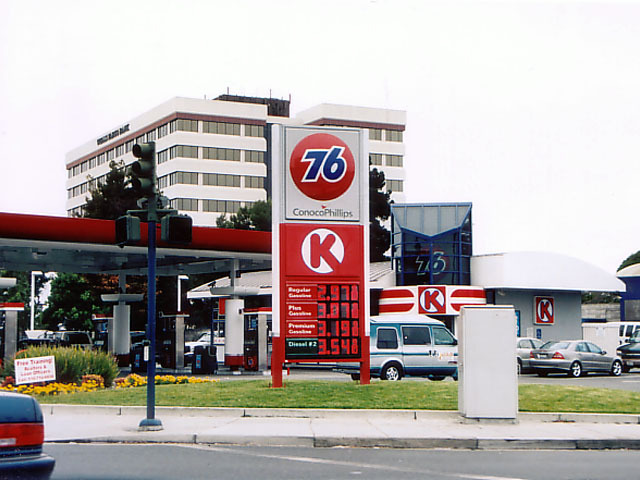 A 1985 photo of this location is on the main Union page, and can be seen here in a pop-up window. 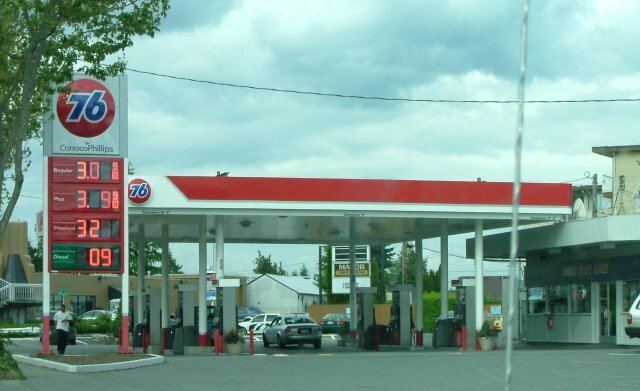 A 76 station in the north part of Seattle, Washington. a suburb to the southwest of Seattle. 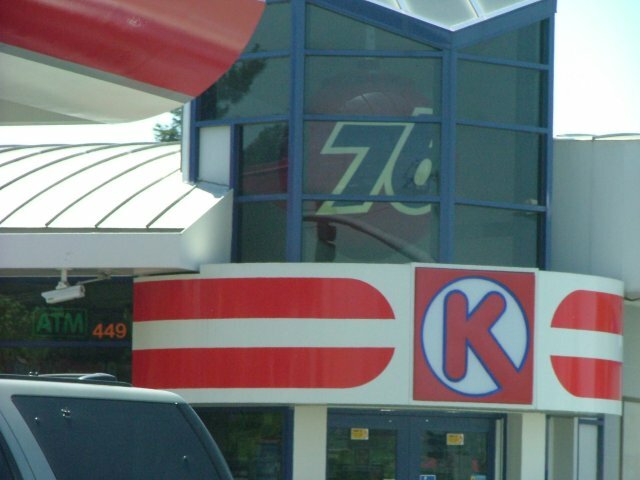 Station is located at 14807 1st Ave. South. Taken June 14, 2006 by John Cirillo. 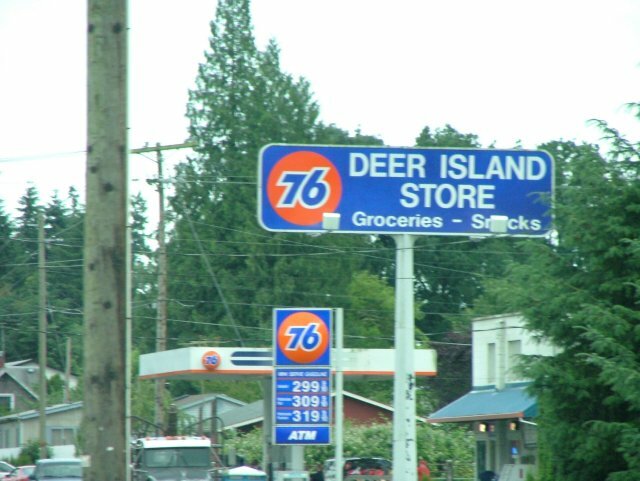 76 station on US 30 at Deer Island, Oregon. Just north of St. Helens. 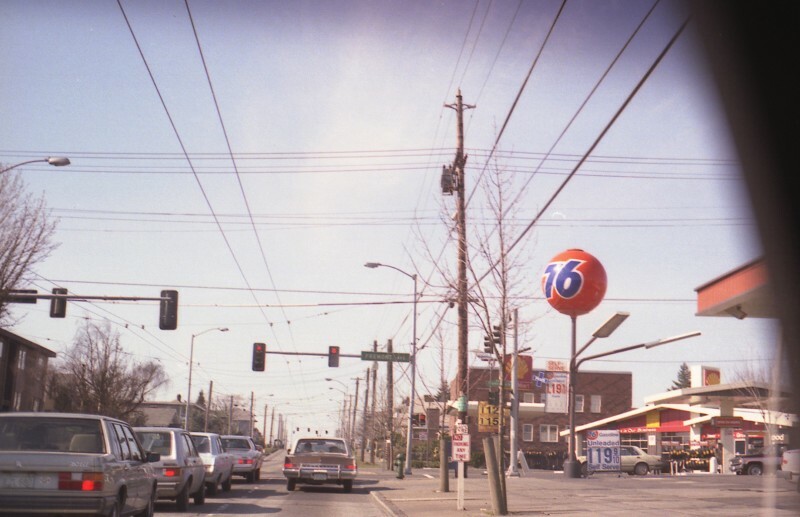 Taken June 15, 2006 by John Cirillo. 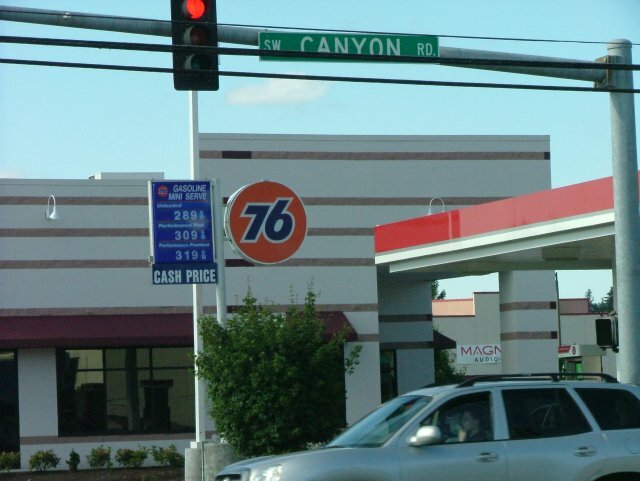 Two photos of an older 76 round sign at the 76 station on Canyon Road, Beaverton, Oregon. Photos taken June 17, 2006 by John Cirillo. 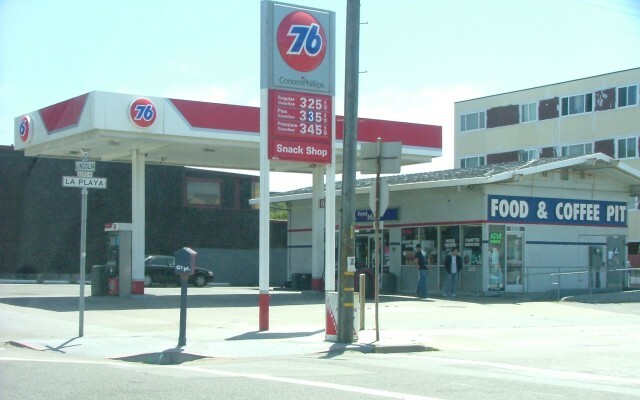 76 station/Circle K on Hegenberger at Edgewater Drive, Oakland, California. 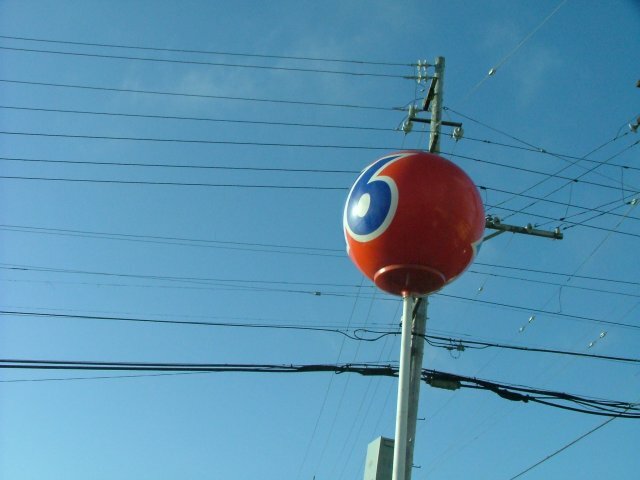 Oakland International Airport, this hidden 76 ball greeted us. 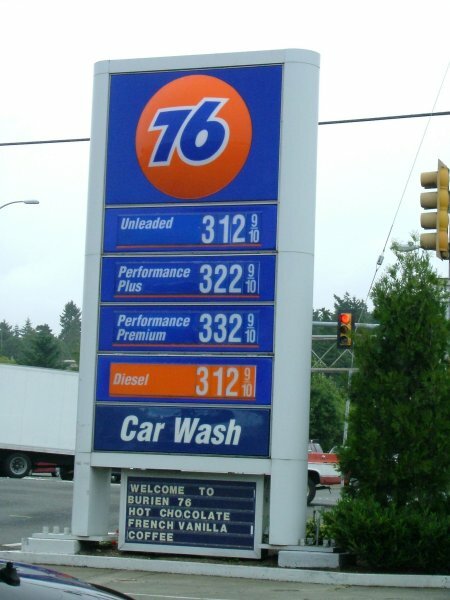 Photo taken June 20, 2006 by John Cirillo. Taken in Aug. 2006 by Earl Ma.